Brian Ray Hodge’s practice focused on employee benefits, labor and employment law, and real estate transactions and litigation. Mr. Hodge has successfully tried many cases, both jury and non-jury, before the state and federal trial courts, and has argued before the California Court of Appeals and the Ninth Circuit. 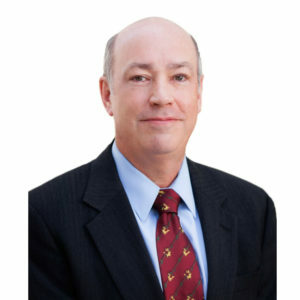 He has represented clients in matters before the United States Department of Labor, the Equal Employment Opportunity Commission, and the California Department of Fair Employment and Housing, among other governmental agencies. Mr. Hodge received his Juris Doctor degree from the University of California, Berkeley, Boalt Hall School of Law, where he was Managing Editor of what is now the Berkeley Journal of Employment and Labor Law. He obtained his Bachelor of Arts degree, with distinction, from Stanford University, where he also completed the honors program in Social Thought and Institutions. He is a member of the California State Bar and admitted to practice in the California Supreme Court and all State and Federal Courts in California. In addition, Mr. Hodge is a member of the Los Angeles County Bar Association’s Labor and Employment Law, Real Property and Litigation sections; and the California State Bar Association’s Labor and Employment Law, and Litigation sections. He is also a frequent speaker on employee benefits and fiduciary matters, and formerly was a member of the Attorneys’ Committee for the International Foundation of Employee Benefit Plans. Mr. Hodge’s published articles include Fraud and Fiduciary Duty, Employee Benefits Journal, December 2003, at 53-61, and A Safer Harbor for Wellness Plans After the Affordable Care Act, Benefits Magazine, June 2013, at 14-19. Mr. Hodge retired from the firm on January 1st 2018.